How will you care for your bike this winter? What winter maintenance or modifications do you plan? Taken from a recent chat I facilitated on Motorcycle Mojo Magazine’s FaceBook page, here’s what these riders are doing. Rania M. I’ll be modifying the pegs. It will be kept in my sisters garage. Might take the bags off and waterproof them somehow. Mark K. Just adding Rox risers to my GS this year. Just got a Russell Day-Long for it which made the saddle a bit taller… Other than that just a good wash, oil change, top off gas with stabilizer, battery tender put bike on centre stand and cover. Vince S. I’m in Arizona the riding season never ends. Am from PA. Remember those long winters. Mark F. Changing the bars. Need a little more height and width for gymkhana. Ursula B. I want to put my bike in the house but my husband says it stays in the garage! Mary M. I spent my wad last year with exhaust and all new pegs and highway bars. I will store it at Milwaukee Harley. They will do my maintenance for me. Rosanna K. Top her off and put stabilizer…good wash’n’wax…would love to get my gas tank and fender covered by Arachnia. They do awesome work. Instead of paint they use a vinyl covering…!! Cynthia D. I will ride it every day. Love living in Texas. Daryl M. In Calgary we keep the battery topped up, fuel conditioner in and ready in case we get a Chinook and can get out and ride. Nothing like a warm January spin on the scoot. 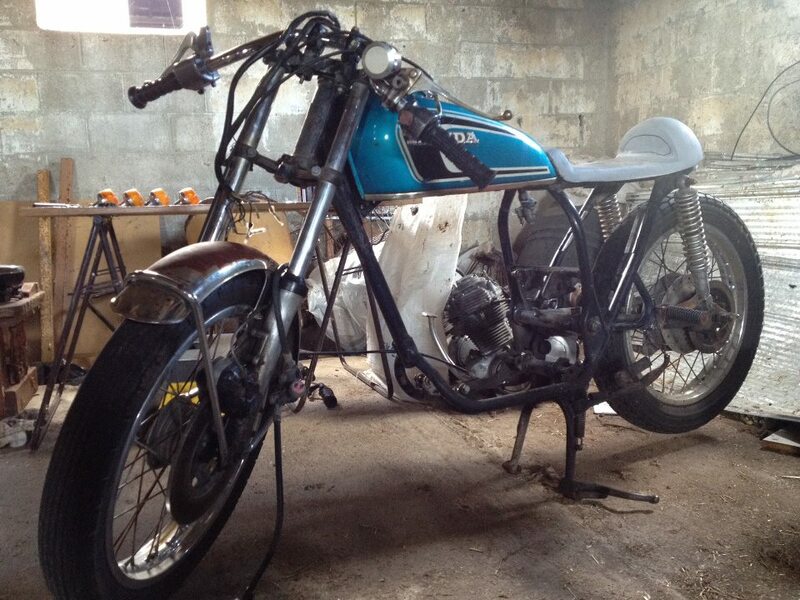 John C. We will be working on our new Project bike, it will be something out of this world…. We will post pictures of parts of it on our Motorcycle Enhancements page. Glenn R. Put winter air in the tires and change the mirror hung pine tree air freshness. Jim Petrie. The cruiser goes into hibernation. The KLR is on standby. Michael G. I can never accept that it’s the end. I’m always way late winterizing the bike because I always think there will be one more ride. Michael G, I’ve already heard people say; that was my last ride of the year. I don’t understand. What if a really nice day comes along? I don’t stop until they start loading the salt on the road. Planning routine maintenance for winter means you don’t have to carve out time from riding season. Allow plenty of time, whether you’re taking it into the shop or doing it yourself. Shops get busy, especially closer to spring. You want to be ready for that first spring ride!